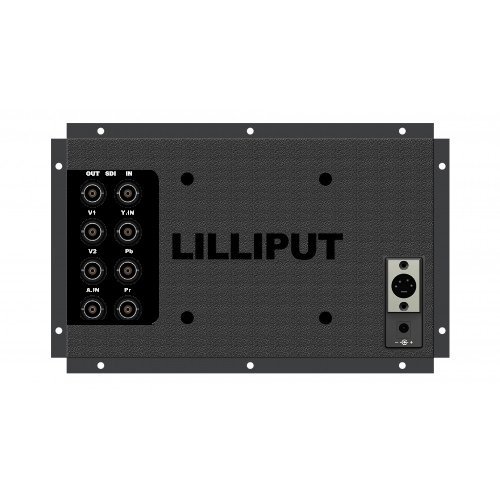 The Lilliput OF1013/S is an Open Frame mount version of the Lilliput FA1013-NP/H/Y/S monitor unit. The open frame mounting allows you to attach the monitor flush to a wall or front facing flat space from behind - resulting in a tidy unobtrusive installation. It features a 10.1" widescreen TFT LCD monitor with SDI, HDMI, YPbPr (via BNC) and Composite (again via BNC) inputs. 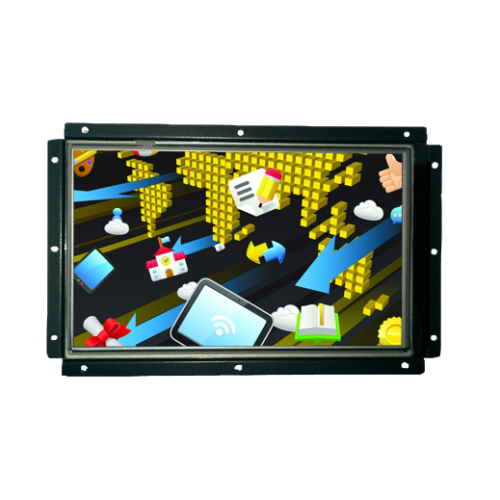 The OF1013/S's 10.1" LCD panel is ideal for users who need a field monitor that is lightweight and easy to carry around. The widescreen aspect ratio lends itself well to all kinds of professional applications. The OF1013/S is mounted within a mild steel frame giving a rugged feel to this monitor. The unit can be flush mounted to a surface using the mounting points on the front, or mounted more traditionally on a VESA 75 mounting point on the rear. The OF1013/S boasts a clear, sharp picture, thanks to a high contrast ratio and LED backlight. The matt display presents accurate colours and leaves no reflection on the screen. What's more, LED technology brings great benefits; low power consumption, instant-on back light, and consistent brightness over many years of use. Natively 1024×600 pixels, the OF1013/S can support video inputs up to 1920×1080 through HDMI. It supports 1080p and 1080i content, making it compatible with most HDMI and HD sources. You can find the OF1013/S in TV broadcast rooms, security monitoring rooms, audio visual installations, and camera crews. With a wide range of inputs - to SDI, HDMI, component and composite video inputs - on the OF1013/S/S, it can be found in all kinds of pro-video applications.